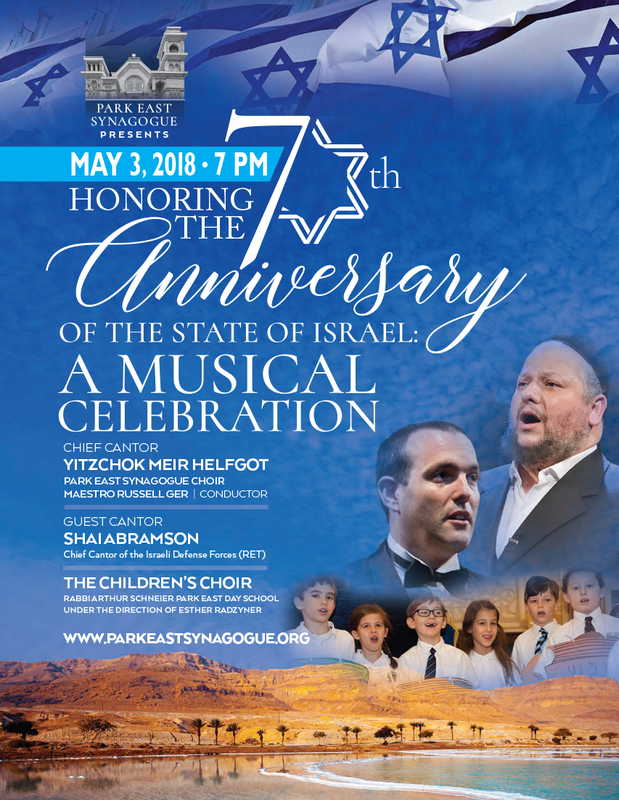 Featuring Chief Cantor Yitzchak Meir Helfgot, Chief Cantor of the Israel Defense Forces, Shai Abramson, Maestro Russell Ger, Park East Choir, and the children of the Rabbi Arthur Schneier Park East Day School. ONLINE TICKET PURCHASE HAS CLOSED. TO PURCHASE TICKETS PLEASE BRING CASH OR CREDIT CARD TO THE DOOR.